Time for another fantastic derby Saturday! 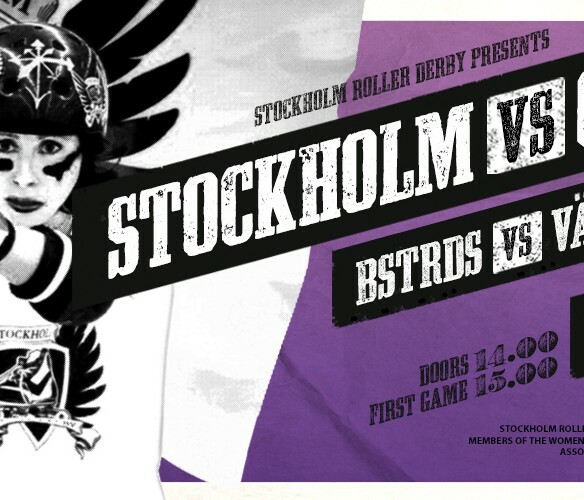 Don’t miss it when Stockholm Allstars takes on Gent GO-GO Rollergirls from Belgium and Stockholm BSTRDs invites Västerås Rollerderby to a fast paced and exciting bout! You will be able to buy roller derby gear and merchandise. There is a cafeteria and there will be a raffle and of course our wonderful, professional announcers. Bring your children, your friends and your grandma. NOTE. Absolutely no consuming of selfbrought alcohol. If this happens STRD will be permanently banned at Solnahallen which is our main venue.